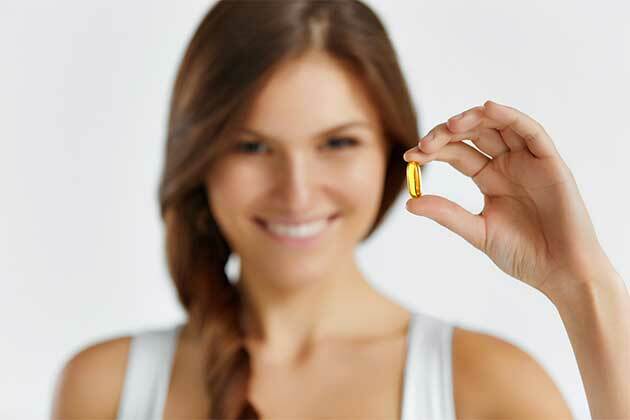 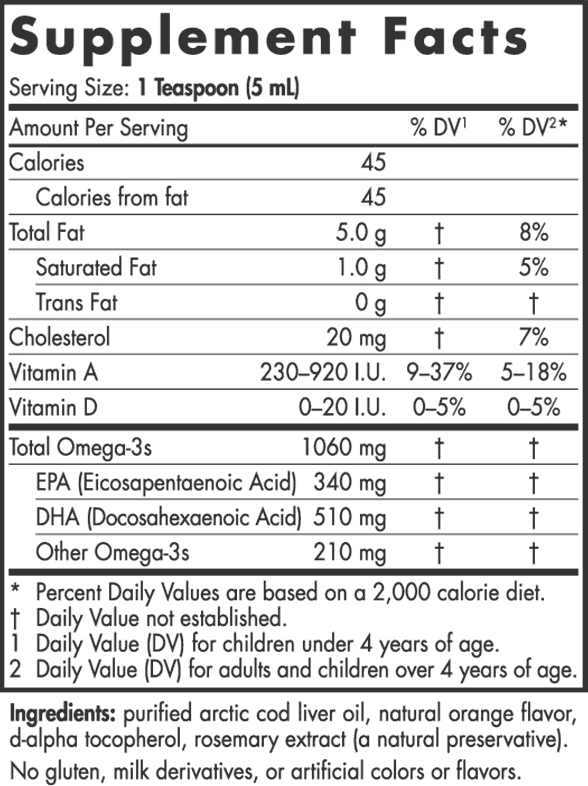 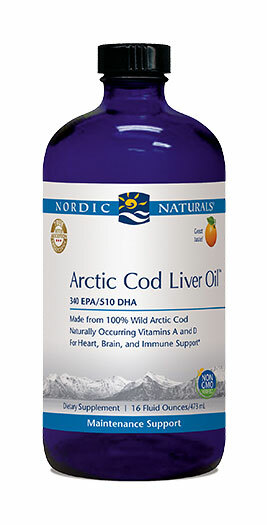 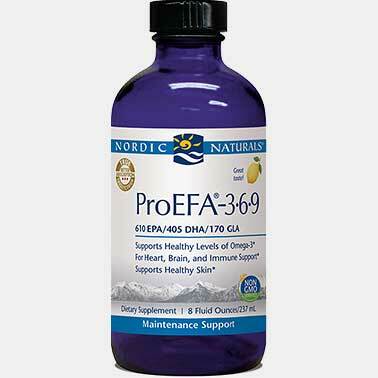 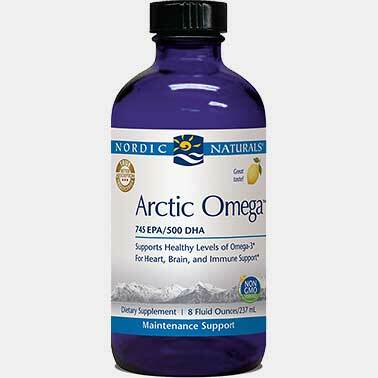 Nordic Naturals has always used 100% Arctic cod livers in our cod liver oil (CLO) formulas—no fish body oils or synthetic additives are ever used. 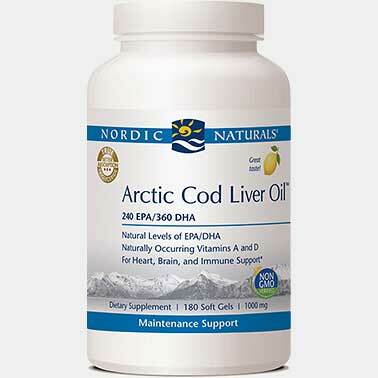 Arctic cod (Skrei) has the highest DHA, vitamin A, and vitamin D content of any cod species. Each teaspoon provides 850 mg of the essential omega-3 fatty acids, EPA and DHA, generously fulfilling the expert recommendation of a minimum of 500 mg per day. 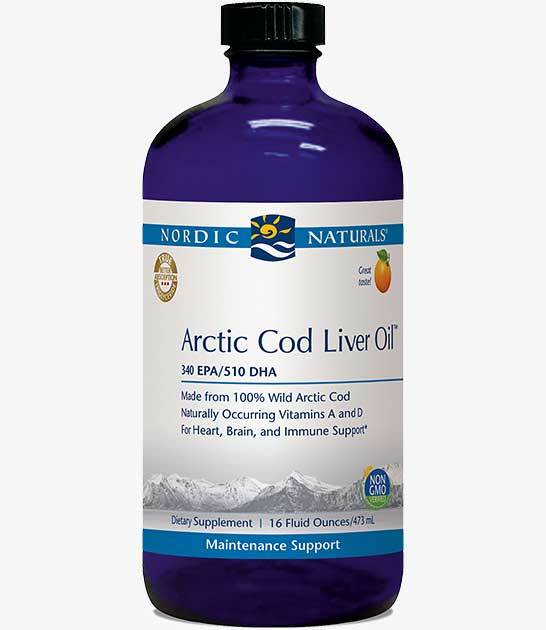 Our flavored Arctic Cod Liver Oil liquids are perfect for customers who don’t like to swallow pills, and they’re so tasty it’s hard to believe they’re from fish.